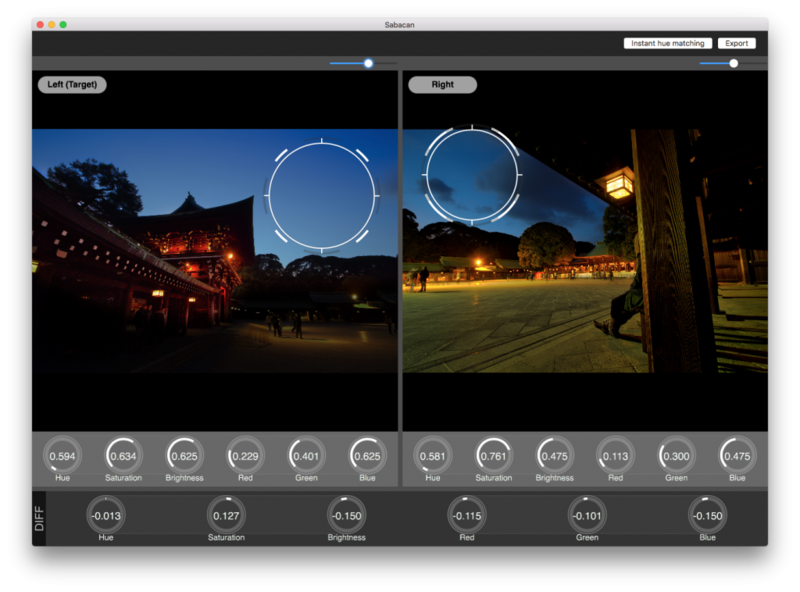 Still doing lots of steps to create Time-Lapse movies? 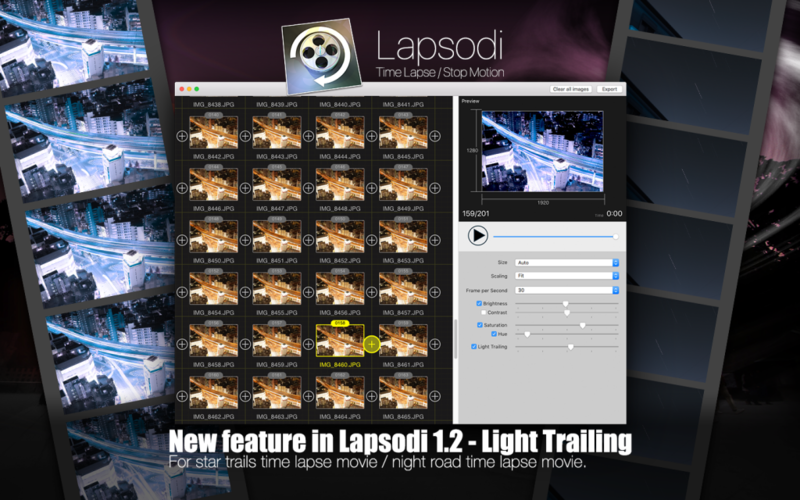 Lapsodi should be an answer to reduce redundant steps on creating Time-Lapse movies. 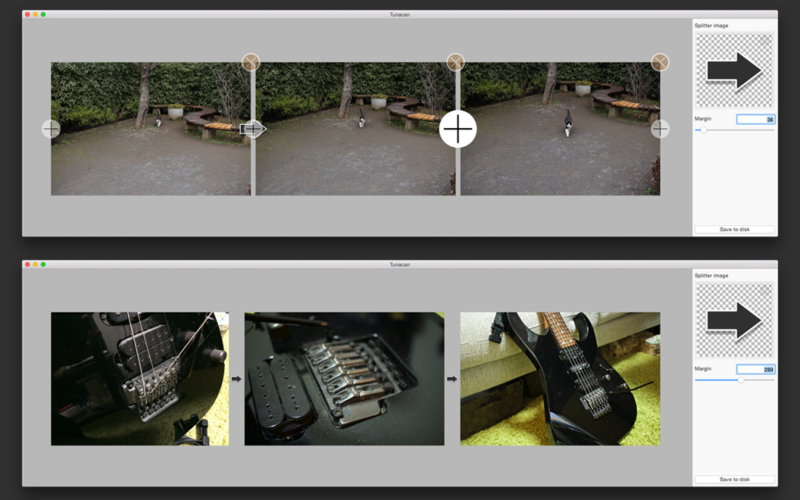 Just drop a sequence of images into the app, adjust the sliders as you like if you want, then “Export” to go. Lapsodi allows you to create breathtaking time lapse movies / stop motion movies from sequence of image files. Create star trails time lapse movie instantly with Light Trailing slider. Or night road time lapse. Feel free to send me any feedback. Photography is one of my hobbies for these 3 years. But color matching often annoys me due to my color vision. I am colorblind and have difficulty differentiating between colors. Sabacan was private tool developed to help myself matching colors between photos some months ago. The application might be useful to people who enjoy photography (especially with deficient color vision), it now available on the Mac App Store. You can inspect the color of selected area in photo, compare the numbers with another ones, or see result of quick hue / saturation matching. Author sotaPosted on 2016年1月30日 Leave a comment on A photo app for people with deficient color vision. 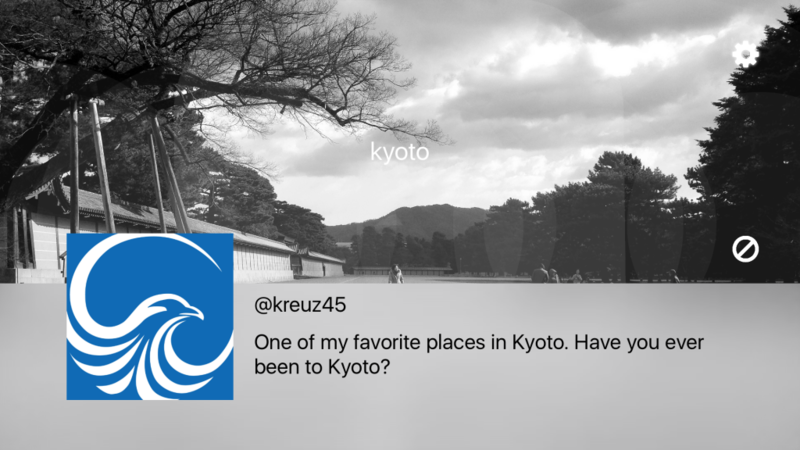 Our first Apple TV application Hayabusa-t for Twitter is now available on the AppStore for Free. It displays tweets related to any keyword or hashtag found on Twitter. No registration or login required. All you need to do is just type your favorite word. Author sotaPosted on 2015年11月7日 Leave a comment on Our first Apple TV application is now on the store! I have no idea how many people are hatred of unaligned images in a row but sure I am one of them. Please use this application when you align images in a row. Tunacan, a simple image concatenator originally just designed for my use, is now available on the Mac App Store for free with brand new experimental user interface. Drag images from Finder, adjust spacing between images, “Export” to write them into a combined PNG file. Images are resized automatically, so that they can fit into one row. Enjoy animation and sound feedbacks on your every single action. They have no effect on exported image though. 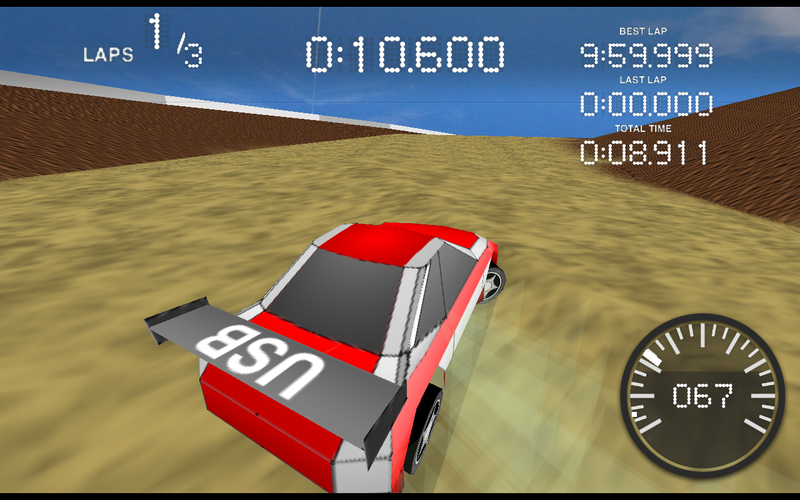 I am happy to announce that a new rally game is now available on the Mac App Store! Easy operation: Use the arrow keys to control your car. Internet Rankings: Beat rivals around the world in time trial. Movie Exporter: Export your beautiful drifting to movie and share with your friends. 2 Cars / 3 Courses. Today, I uploaded a software I use to inspect wave files in developing music software. 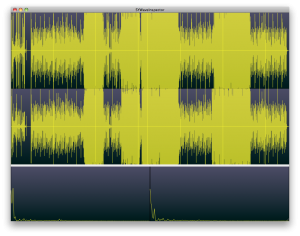 SYWaveInspector simply visualizes wave file: draws waveform of each channel on the upper pane and frequency spectrum on the bottom pane. Download SYWaveInspector 0.0.1 FREE from here. 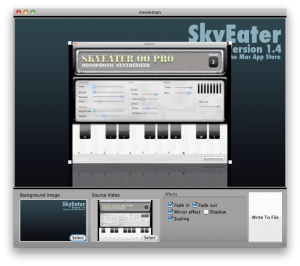 SkyEater Pro 1.4.1 and SkyEater Poly 1.4.1 are both available now on the AppStore. You can save / load sound preset in 1.4.1. 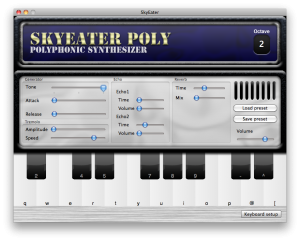 SkyEater SPECTRA is out now! Drag the mouse on the canvas and modify the sound freely! 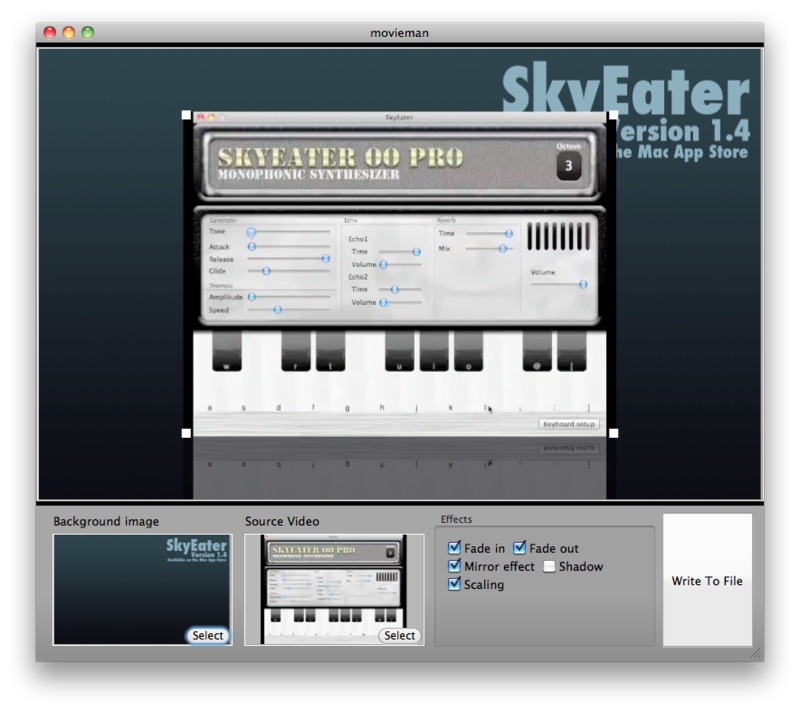 SkyEater OO Free 1.5 is out now. 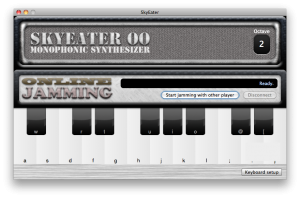 SkyEater OO Free 1.5 has a new online jamming feature. 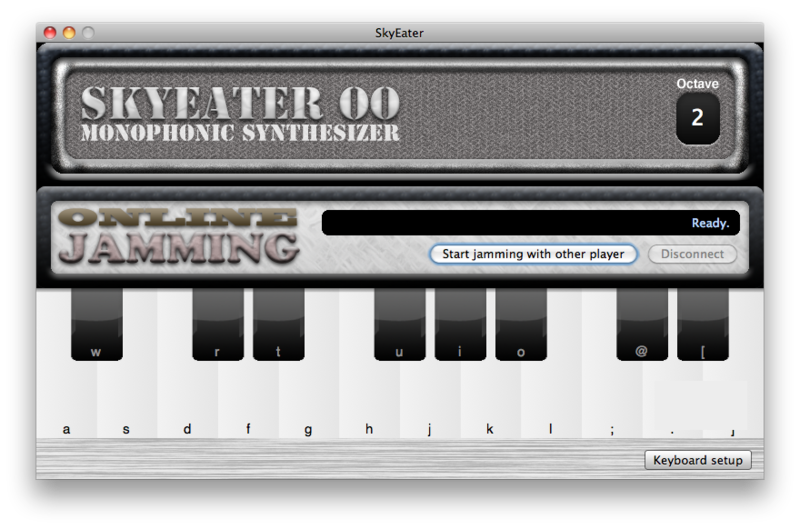 Enjoy jamming with other players around the world by just clicking [Start jamming with other player]! The new video app called Movieman has been released! Author sotaPosted on 2011年6月12日 Leave a comment on Movieman has been released.